Learn about the rich history on Roanoke Island while kayaking its protected canals and waterways on our Roanoke Island Kayak Tour. The Roanoke Island Kayak Tour environment bore witness to the first English settlement in the New World. Downtown Manteo is a great kayaking environment located between the Outer Banks and the mainland and also provides an ideal activity to begin your exploration of the Outer Banks and Roanoke Island. 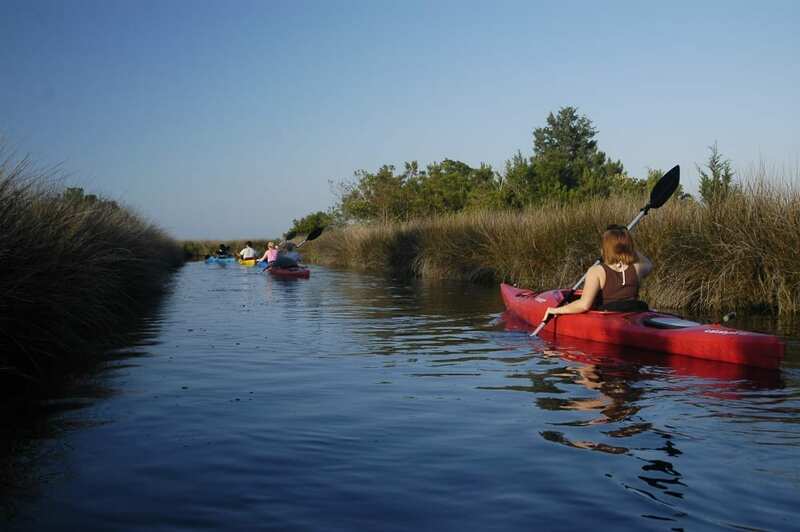 The Roanoke Island Kayak Tour is offered daily. Paddle down narrow salt marsh canals, explore the Roanoke Sound and return back to historic downtown Manteo. Maybe even grab lunch, check out the Lost Colony Outdoor Drama or a beer after the tour at one of the nearby pubs or restaurants.